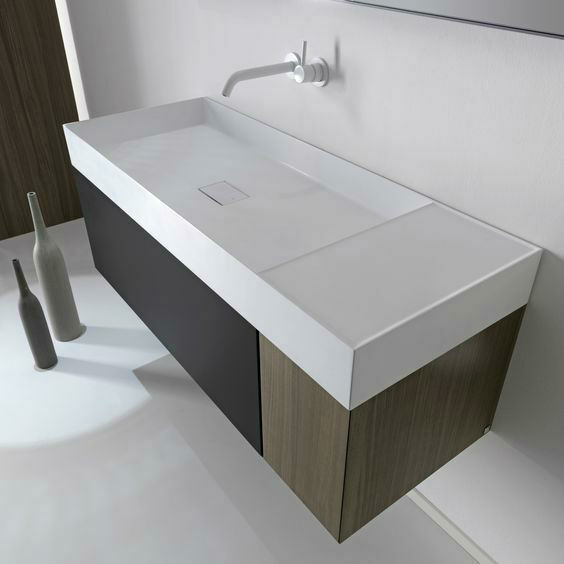 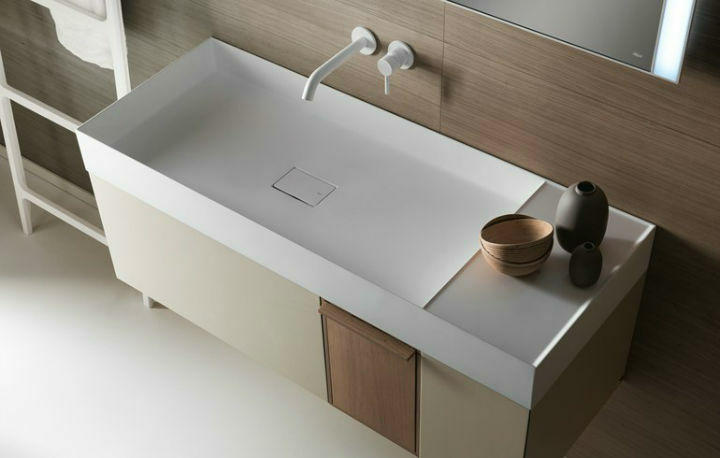 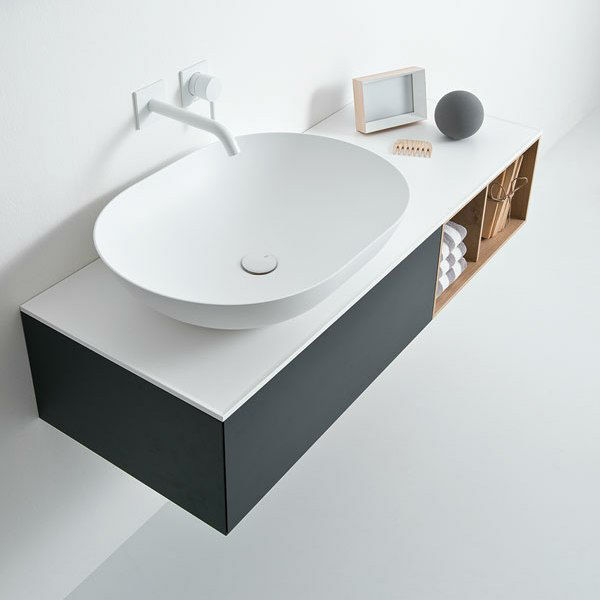 QUATTRO.ZERO by Falper, redefines the design and thickness references of the bathroom environment, thanks to the 4 mm of its slim basins, to the tops with a drip-catcher profile and 45-degree finishes of each element. 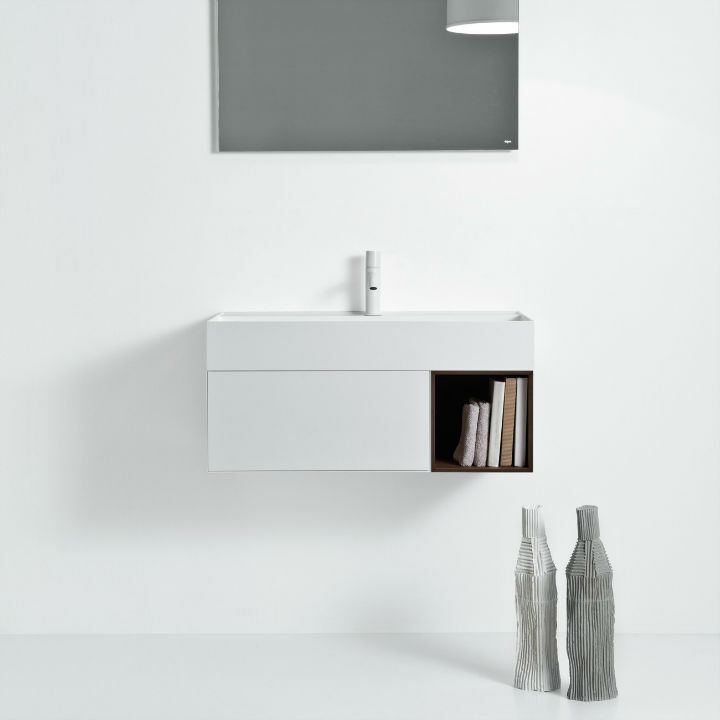 It is the first collection to boast such a cure for constructive details even in small furniture. 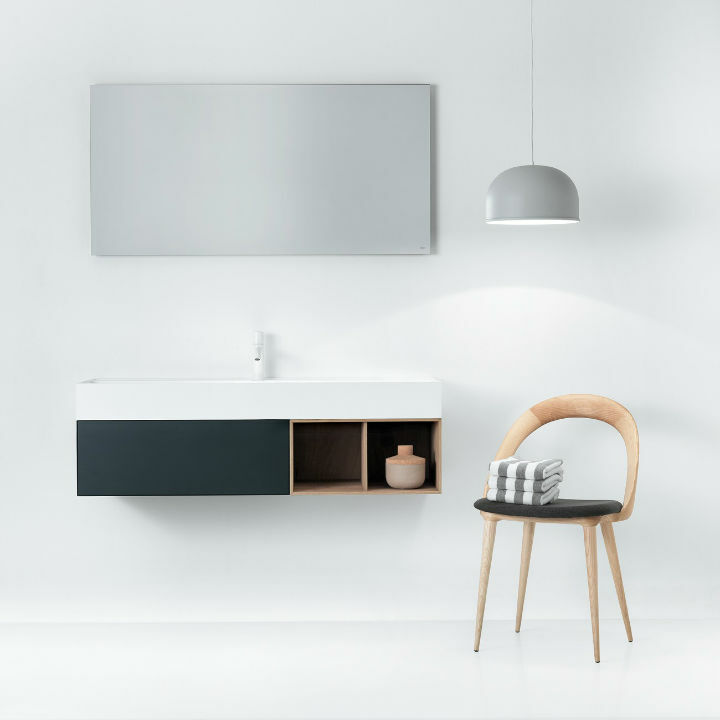 Available in all its configurations with “press and open” handles and with grooved handles; uses LEGRABOX drawers with a soft closing finished with opaque Exclusive Grey as the inside of the furniture.